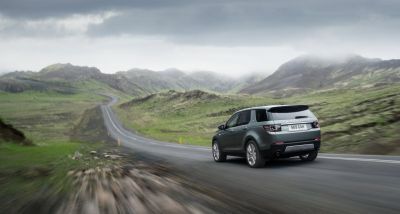 Whitley, UK, September 3, 2014 – Land Rover has revealed the new Discovery Sport, the world’s most versatile and capable premium compact SUV. The first member of the new Discovery family, Discovery Sport, features 5+2 seating in a footprint no larger than existing 5-seat premium SUVs. 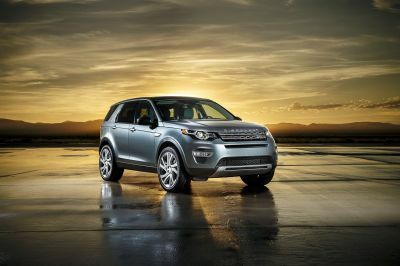 Land Rover digitally revealed the new Discovery Sport at Spaceport America in New Mexico, USA, also launching the Land Rover Galactic Discovery competition. Four friends are set to win a once-in-a-lifetime trip to space with Land Rover’s global partner, Virgin Galactic as part of an innovative digital competition at http://www.landrover.com/gotospace. As with every new Land Rover, safety has been a key priority in the development of the new Discovery Sport, resulting in a first-in-class pedestrian airbag, autonomous emergency braking, and a state-of-the-art bodyshell featuring both ultra-high-strength steel and lightweight aluminium. This represents a fraction of the advanced equipment available in Discovery Sport, which also includes an all-new 8-inch touchscreen infotainment system, and standard tilt-and-slide row-two seating for maximum interior configurability. From launch in the UK, the new Discovery Sport will be equipped with the powerful and refined 2.2 litre SD4 turbodiesel engine producing 190 PS featuring stop-start technology, high-pressure direct injection, low-friction internal components and smart regenerative charging for outstanding performance and economy. Both 9-speed automatic and 6-speed manual transmissions are available. Later in 2015, a highly efficient two wheel drive eD4 turbodiesel engine will join the range with CO2 emissions from just 119g/km*.